No Parking, 20 Minute Parking, Handicap Parking, Fire Zone, Loading Zone—parking signs are one of those things that are so common we don’t even really think about them until we need them. So where do you go when you need a parking sign? Come to us. 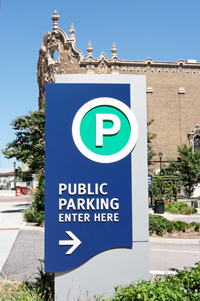 We have a wide selection of parking signs in stock and ready to go. Call or stop by today.